Our children hear so much more than we think they do, especially during election season. As parents, what can we do to help our children understand the political process? One parent shares her thoughts on how to role model good citizenship. What’s Up With Look-Alike Smart Snacks? Have you ever wondered why your child can still purchase junk food snacks even after the USDA created the Smart Snacks in School guidelines? We have too, so we spoke with an expert to find out how this happens and why it matters. Kids are getting more media than ever before—about six to nine hours a day on average. How much screen time is too much? We talked to the experts to find out what a healthy digital life looks like, and when it’s time to put the screens down. Members of Congress have been on break in their districts and states during this busy election season. However, they will return to work in the nation’s capital Nov. 14 and with three short weeks to pass appropriations bills to fund the federal government in the next year before the deadline Dec. 9. Tell your member of congress today to invest in Statewide Family Engagement Centers during this appropriations process to improve family engagement in schools across the country through National PTA’s Takes Action Center. As states work to implement the Every Student Succeeds Act (ESSA), they are reaching out to and engaging a wide variety of community members to get feedback and input throughout the process, from planning to implementation. States are looking for new and innovative ways to engage parents and families on this important yet complex topic. 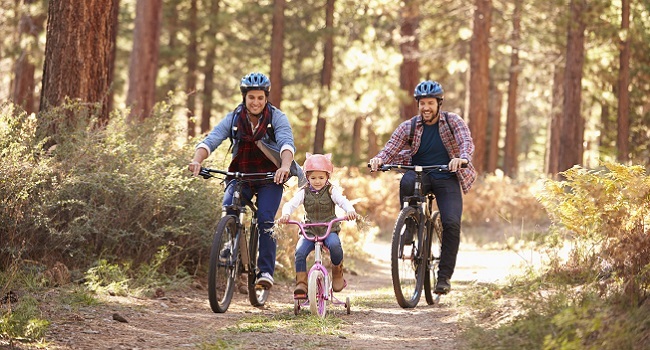 To assist, CCSSO is hosting a joint webinar with National PTA to explore key strategies states can use now and in the future to engage parents and families in meaningful ways. Join us at 3 p.m. EST Wednesday, Nov. 9 by using the call-in information below! National PTA will continue its important work on academic standards and assessments that began in 2009 as the “Common Core State Standards Initiative” renamed the College and Career Readiness Initiative (CCRI). The initiative has launched grant-funded campaigns in 17 states and four local communities in partnership with state and district PTAs to educate and train PTA leaders, meet with decision makers, work with the media and build overall advocacy capacity. The work has expanded well beyond standards to ensure all students are prepared for college and career through high standards, aligned assessments, fair accountability systems and parental involvement. As part of this grant cycle, Arkansas PTA, Georgia PTA, Michigan PTA, New Jersey PTA, West Virginia PTA and Wisconsin PTA will now be participating in the initiative. President Obama announced in Washington, D.C. last month that America’s high school graduation rate has reached a record new high of 83.2%. The 2014-2015 graduation rates released last month show progress for all reported groups of students, including students of color, low-income students, students with disabilities and English learners. Black, Hispanic and Native American students continued to narrow the gap between their graduation rates and those of their white peers, even as all groups made progress. Nearly every state across the country has seen progress since 2010-2011. A study by National PTA partner the Congressional Management Foundation, found that even one person who self-identifies as a constituent could have some influence on a member of Congress’s decisions using social media. However, when constituents just mention that they are affiliated with a group like National PTA, the likelihood of influencing Members decisions increases. In fact, 78% of staff reported that multiple constituents affiliated with a group would have some or a lot of influence on their boss’s decisions. Latha Krishnaiyer is National PTA’s November advocate of the month. She is the past president of the Florida PTA, a current PTA member in Broward County, Fl., and serves on National PTA’s Bylaws and Policy Committee and Strategic Planning Committee. For years, Latha has led efforts in Florida to engage families and the community to advocate on ballot measures, host candidate forums and encourage greater civic engagement across the community. Latha explains the civic duty PTA members regarding elections in a One Voice guest blog. She recently hosted a candidate forum for contested state legislative, county commission and sheriff races in partnership with Kids Voting Broward and the League of Women Voters. Latha and two students sat on the panel and asked the candidates questions on their education platforms and how to involve more families in their child’s education. The forum was later aired on a local television station. View the recording. Ohio PTA hosted an Advocacy Training Event on Oct. 22. The members attending were engaged in a discussion around education policy changes happening in Ohio. Several workshops were presented, including two live webinars: an ESSA webinar presented by Jacki Ball of National PTA and one on Ohio’s School Report Cards by Marianne Mottley from the Ohio Department of Education. In addition, State School Board Member Rosslyn Painter-Goffi was in attendance and interacted with attendees as part of a “Meeting with Decision-Makers” workshop. Additional presentations focused on grassroots advocacy and the use of social media. Learn how you can host a similar advocacy training session in your state atPTA.org/AdvocacyToolkit. Have you hosted an advocacy day recently? Share your story with National PTA at GovtAffairs@PTA.org. Who did students elect in the National Student/Parent Mock Election? National PTA is now accepting nominations for the 2017 Advocacy Awards! If you know of an outstanding youth or individual PTA advocates, or a local unit or state PTA that has done great advocacy work, nominate them to receive an award for their efforts from National PTA at the 2017 Legislative Conference. You can also nominate yourself! Join National PTA on March 7-9, 2017 in Arlington, Va., for the 2017 National PTA Legislative Conference (LegCon). Celebrate 120 Years of Changing Children’s Lives at the 2017 LegCon, learn about the key education issues facing the new Congress and honor policy makers and PTA members whose efforts to make every child’s potential a reality. 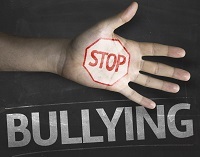 Bullying and cyberbullying can negatively impact the learning environment of all students. Parents, school staff and other caring adults can have a vital role in preventing bullying and cyberbullying. Join this virtual event to learn more about this important issue and how parents, students and school community can respond to bullying and cyberbullying situations and address them appropriately.